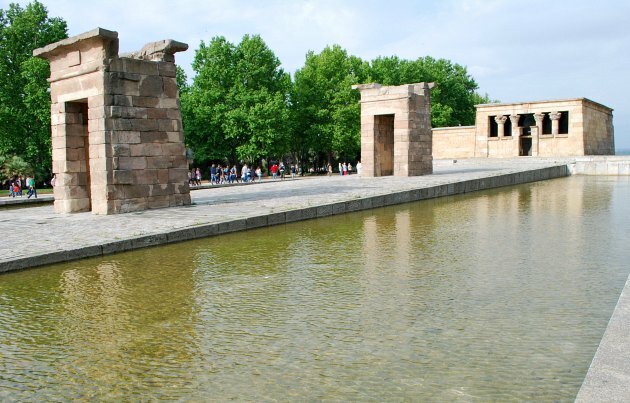 The Temple of Debod in Madrid is an ancient Egyptian temple that was originally located on the banks of the River Nile. 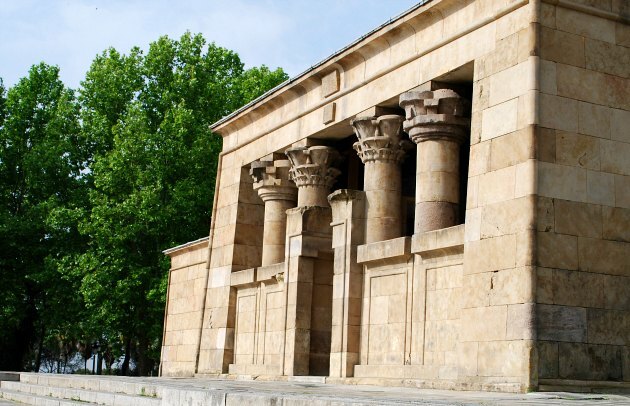 Its construction is similar to other temples from the 2nd Century BC, with a procession of courtyards, although none of the outer walls remain. Only the gateways and the temple itself are still intact and they sit in a beautiful park near Plaza de España. The temple was donated to Spain in 1968 by the Egyptians in order to save it and preserve what was left. The temple is open to the public and inside there are two different levels to see. The ground floor contains audio visual displays explaining the role of the temple and the central area is packed with carvings. 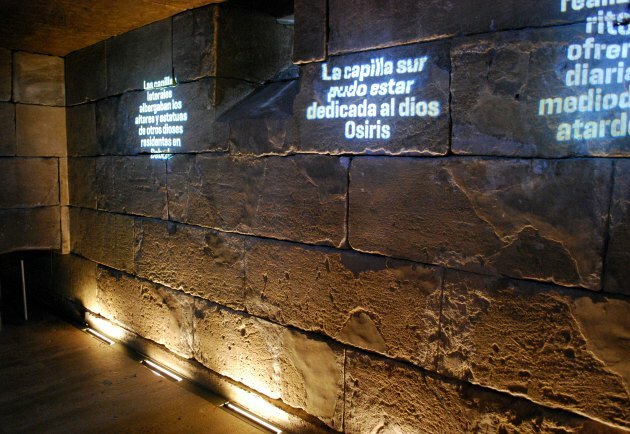 These are explained and interpreted by information boards which light up examples on the walls. Upstairs, there are more carvings to see, but the display which puts the temple into context we found to be the most interesting exhibit. It’s a huge layout of the area of the Nile where the temple used to be located along with models of each of the temples that existed there before being destroyed or removed. Most of the temples were moved to make way for the construction of the Aswan High Dam. 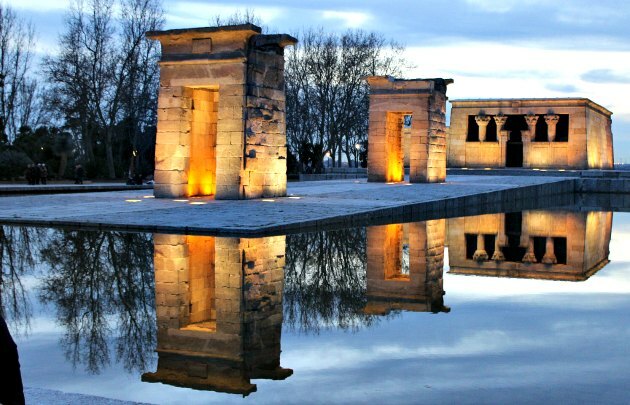 The Temple of Debod is free to visit although access inside is restricted on occasion. When open, only 30 people are allowed inside the building at the same time for a maximum of 30 minutes. Opening times are 10am to 2pm and then 6pm to 8pm in the summer and 4.15pm to 6.15pm in the winter. It’s worth spending time in the lovely park in which the temple is located. There are great views over Madrid and plenty of seating areas and walkways.